What will $1,200 rent you in Raleigh, right now? We've rounded up the latest rental offerings via rental site Zumper to get a sense of what to expect when it comes to locating housing in Raleigh if you've got a budget of $1,200/month. 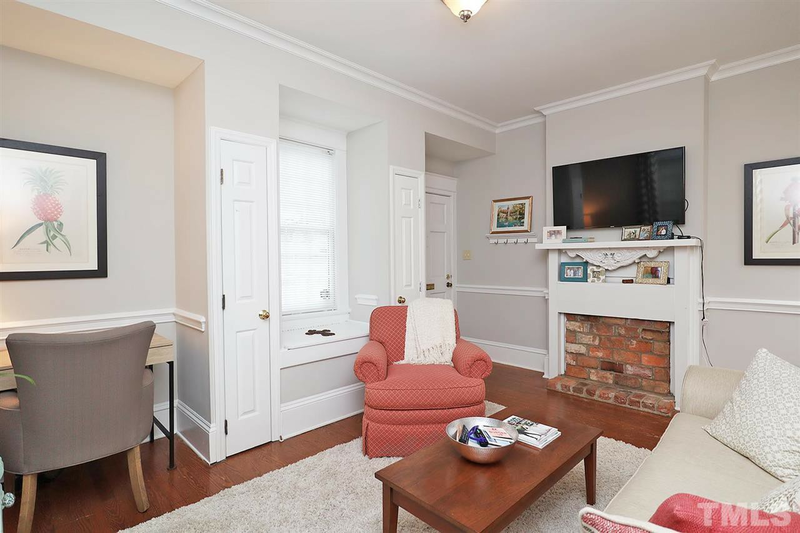 Listed at $1,200/month, this 750-square-foot one-bedroom, one-bathroom apartment is located in a four-unit building at 600 Devereux St. In the unit you'll find high ceilings, hardwood floors and a decorative fireplace. The building has off-street parking. Pets are not welcome. According to Walk Score, the surrounding area is friendly for those on foot, is relatively bikeable and has good transit options. Next, there's this one-bedroom, one-bathroom apartment over at Tupelo Hill Lane. It's listed for $1,155/month for its 844 square feet of space. The building has outdoor space, a swimming pool, a fitness center and extra storage space. In the apartment, there are hardwood floors, a dishwasher, in-unit laundry, a walk-in closet and a balcony. Both cats and dogs are welcome. According to Walk Score's assessment, the area around this address requires a car for most errands, has some bike infrastructure and has some transit options. Here's a 640-square-foot one-bedroom, one-bathroom duplex at 706 N. Boylan Ave. that's going for $1,150/month. Apartment amenities include hardwood floors, in-unit laundry, granite countertops and stainless steel appliances. The building features assigned parking and a backyard. Neither cats nor dogs are welcome. Per Walk Score ratings, the surrounding area is very walkable, has some bike infrastructure and offers many nearby public transportation options. Finally, check out this 775-square-foot one-bedroom, one-bathroom apartment that's located at 1040 Wake Towne Drive, #63401-1. It's listed for $1,146/month. The apartment features hardwood floors, a washer and dryer, a balcony and stainless steel appliances. Building amenities include a swimming pool, an elevator, storage space and secured entry. If you've got a pet, you'll be happy to learn that cats and dogs are welcome. Walk Score indicates that this location isn't very walkable, is somewhat bikeable and has a few nearby public transportation options.